Do you have plans this holiday weekend? Either way, here are some suggestions and things to explore. Memorial Day weekend is a time-honored tradition, a real tradition unlike any other — not the fake kind that Jim Nantz pawns off every time The Masters comes around. The holiday actually began in the Civil War days, as a way to remember Union soldiers who had perished. Today, we mostly hang out at the beach, or relax at the mountains, or head to a backyard cookout, or play beer pong with Claude Giroux. On our athletic fields, Memorial Day coincides with the Stanley Cup playoffs and NBA playoffs. The Rangers and Devils will resume their Big Apple series Friday night. The Celtics will host the Sixers in what could be another historic Game 7 Saturday night, and the Spurs and Thunder will kick off their highly-anticipated series Sunday. Of course, the highlight of the weekend used to be the milk party better known as the Indianapolis 500. But, with no Danica Patrick, we won’t be watching. FRIDAY … We’ll be glued to Rangers vs. Devils, 8 p.m. but we’ll be tempted by these gems: Syfy (Sci-Fi) is running a “Nightmare on Elm Street” marathon (yes, the 1980s original, not the re-make) from 8 a.m.-6 p.m. Because nothing says thank you to our troops better than Freddy Krueger scaring the crap out of teenagers. Sign us up. SATURDAY … As previously noted, we have Sixers-Celts, the 1982 grudge match, but if that doesn’t do it for you, then you have plenty of options. AMC is supplying the ultimate tribute with a military movie marathon from 2:30 a.m.-6 a.m. the next day. If you want to take a comedy break, flip over to GMC for its “Sister, Sister” and ‘Moesha” marathons. SUNDAY … The Indy 500 takes over ABC. Even if you cave and watch that, the milk jug will be emptied by 3 p.m. so you can still catch up on Discovery’s “Mythbusters” marathon or BBC America’s “Planet Earth” marathon. Get an education this holiday season. MONDAY … We don’t care what sporting event is on. This is a no-brainer. Spend the day with the family. Take a dip in the pool, eat that extra hot dog, then settle in for a long night of Cartman and Kyle and Comedy Central’s “South Park” marathon. You know you want to find out if Kenny finally makes it through an episode. You also need to dress to impress this Memorial Day weekend. It’s OK — especially you, ladies — to break out the white pants. Sun dresses are also in season. Guys, it’s never alright to wear skinny jeans, but we will accept the Russell Westbrook look. Dwyane Wade has been cited for a “flagrant fashion foul” by the popular sports blog Larry Brown Sports. Normally, we’d agree. Since we’re in a festive mood, we’ll allow it. The Wonder Woman bracelet is a severe violation, though. Once you have the right couture, you need a patented move. 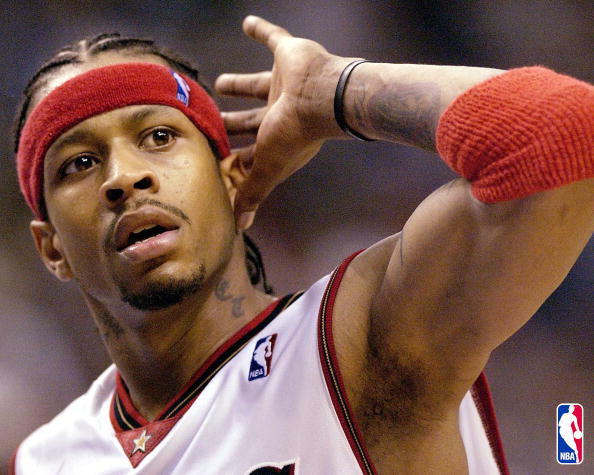 Either create your own — we like to do the Allen Iverson ear call while singing Rihanna’s “Birthday Cake” chorus – or borrow someone else’s calling card. The most obvious is Tebowing. If you do decide to Tebow, however, just be careful. You want to combine the right amount of sarcasm with awesome. Snoop Dogg seems to have found the perfect balance.